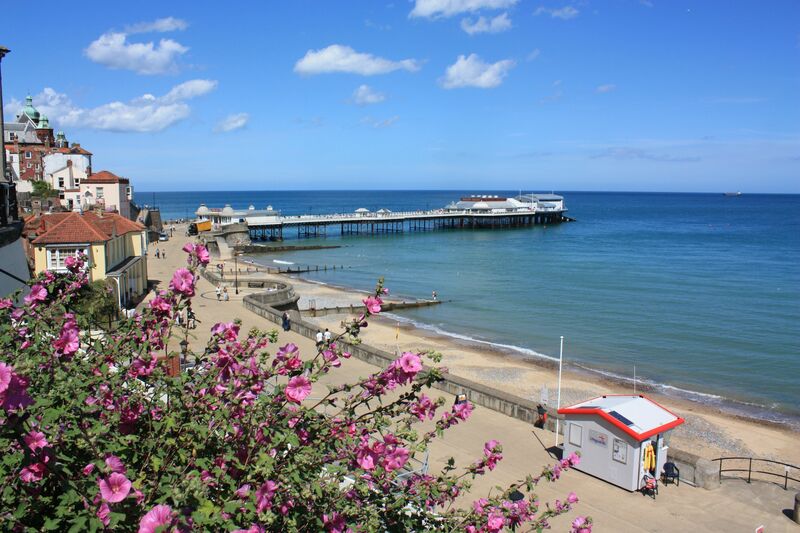 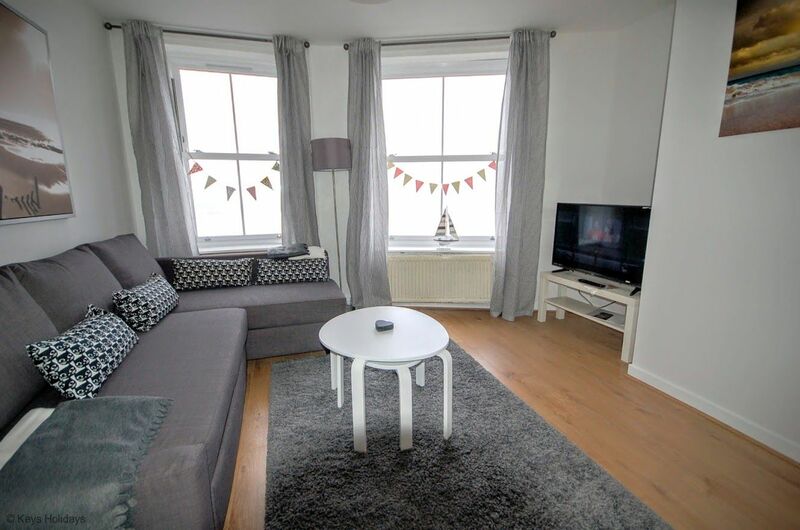 The picturesque view of Cromer pier from this apartments windows will take your breathe away. 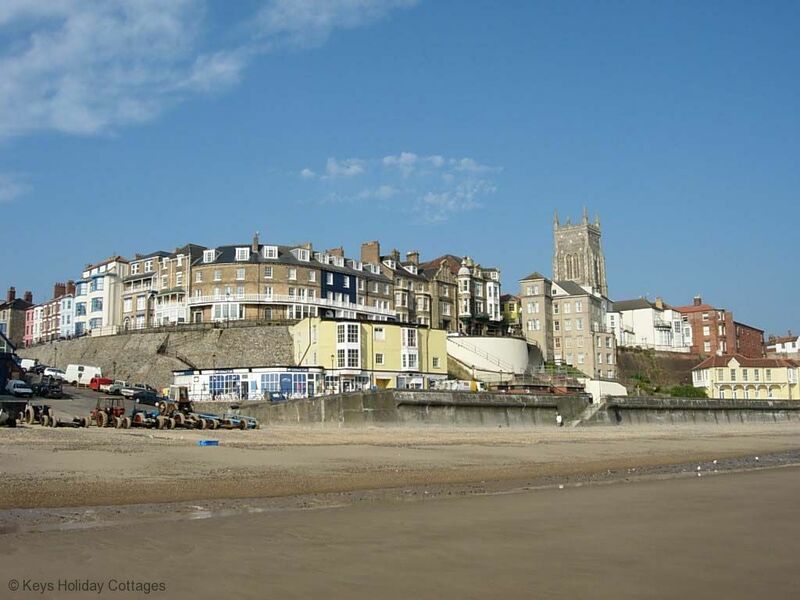 And for a bonus it is only a few minutes walk from the nearest fish and chip shop! 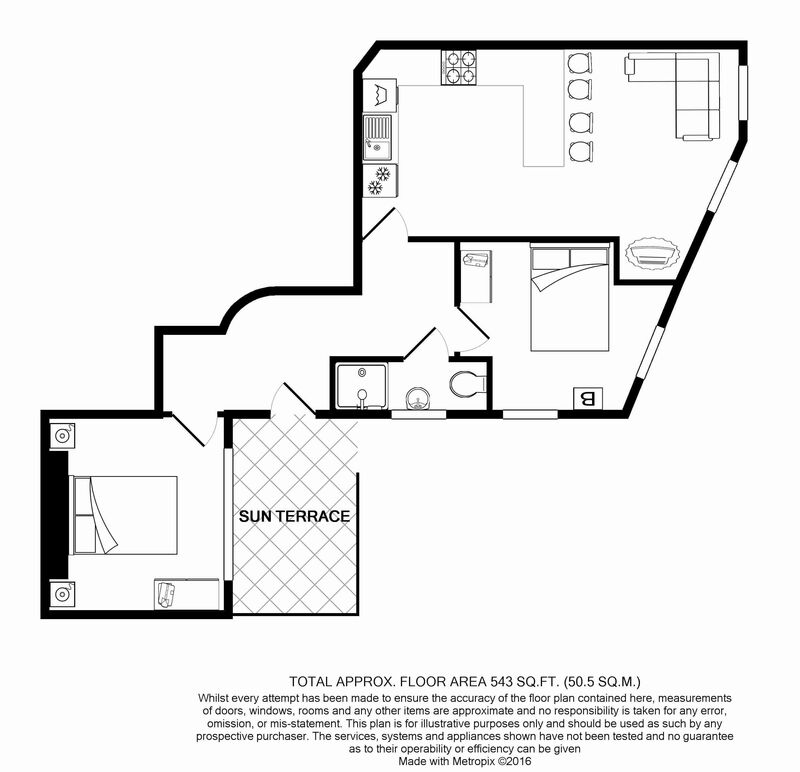 Directions: The flat can be approached from both Tucker Street and from the Promenade. 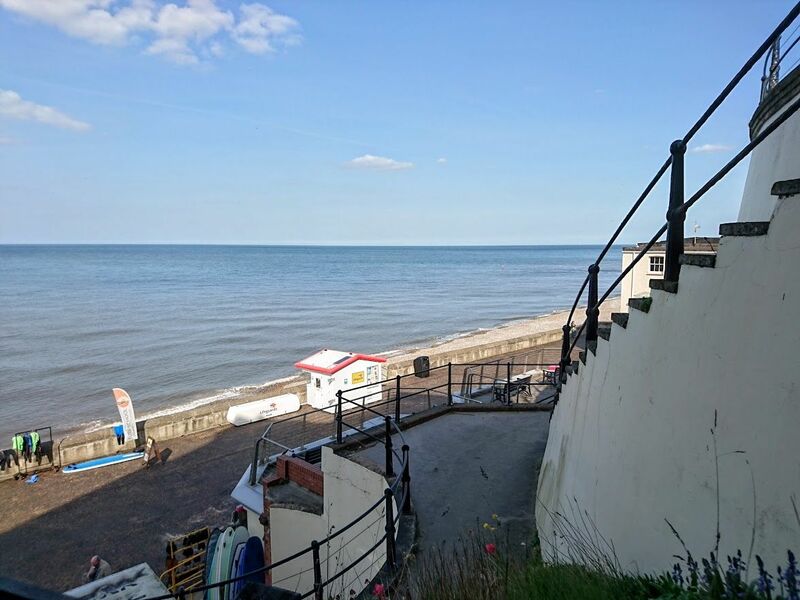 Stand near the surf hut on the Promenade and the flat is half way up between Promenade and The Red Lion Hotel, walk up the steep steps* onto the terrace and enter Flat 14. 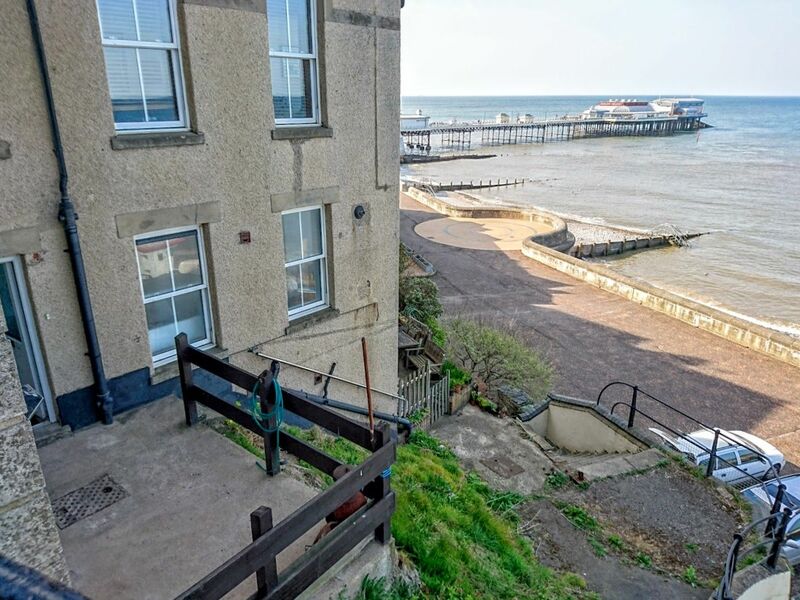 Ground floor: Entrance via the terrace leading into a hallway with door to 2 double bedrooms; both offering sea views. 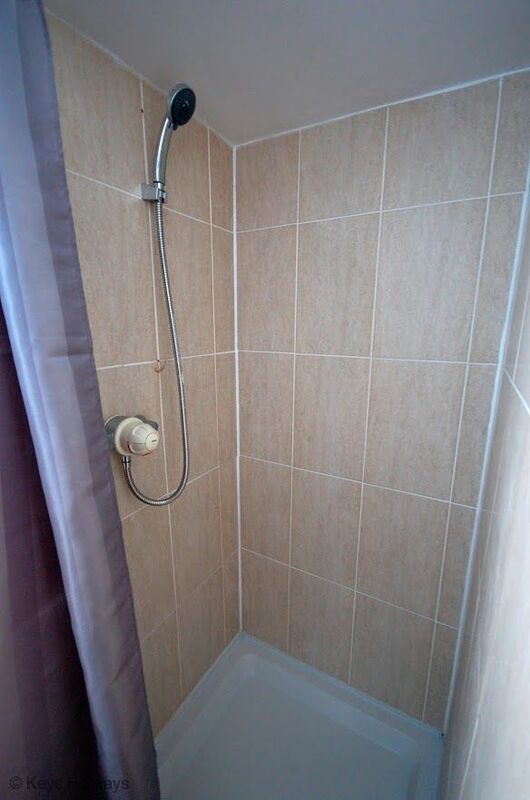 Family shower room with wash basin and WC. 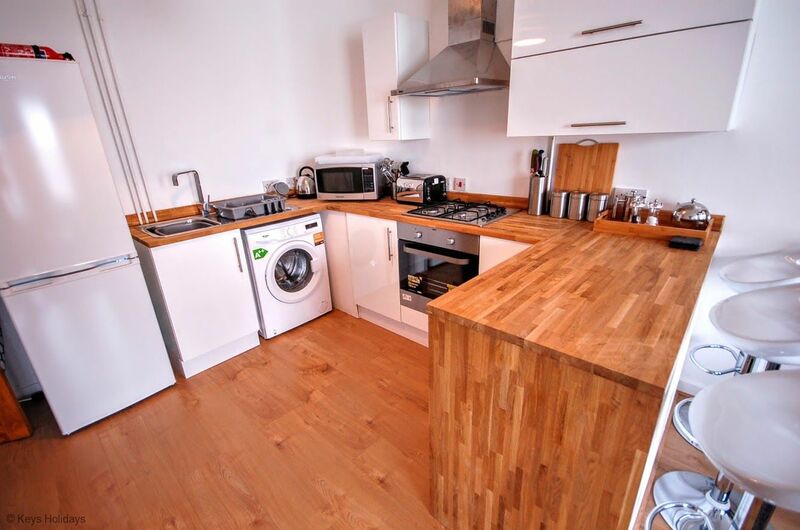 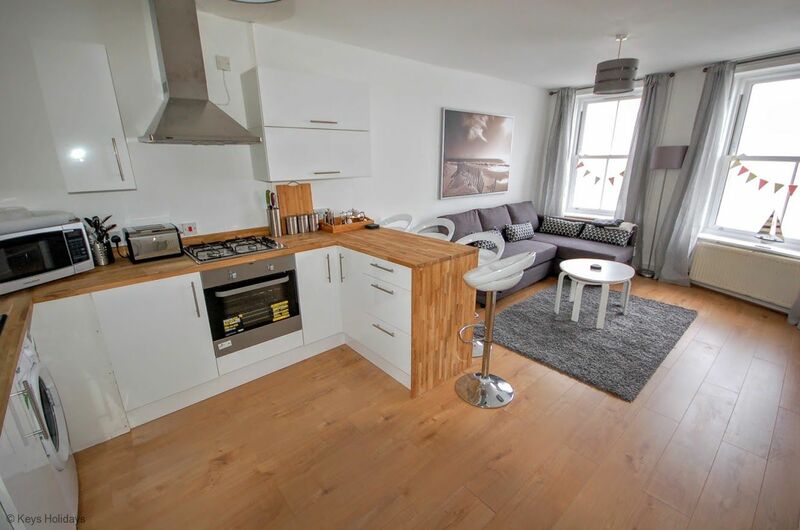 Open plan kitchen, living and dining area with TV and DVD player, kitchen: with gas hob and electric cooker, fridge/freezer, washing machine and breakfast bar. 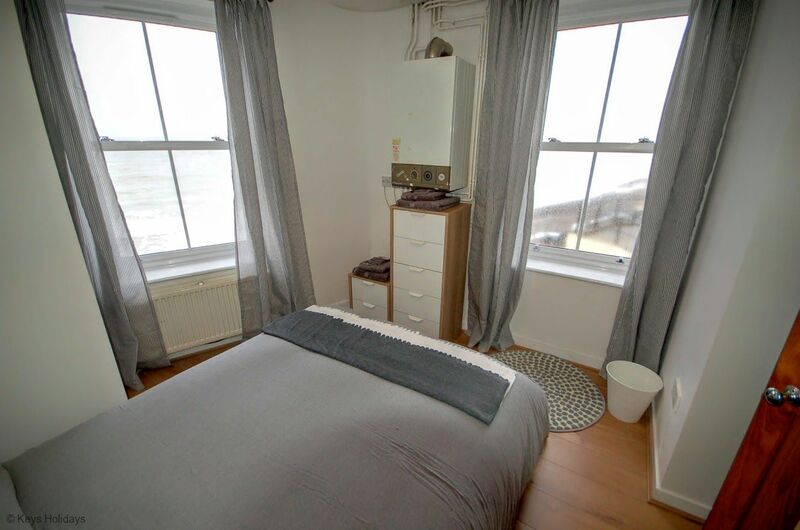 Please note: Outside: terrace overlooking the sea. 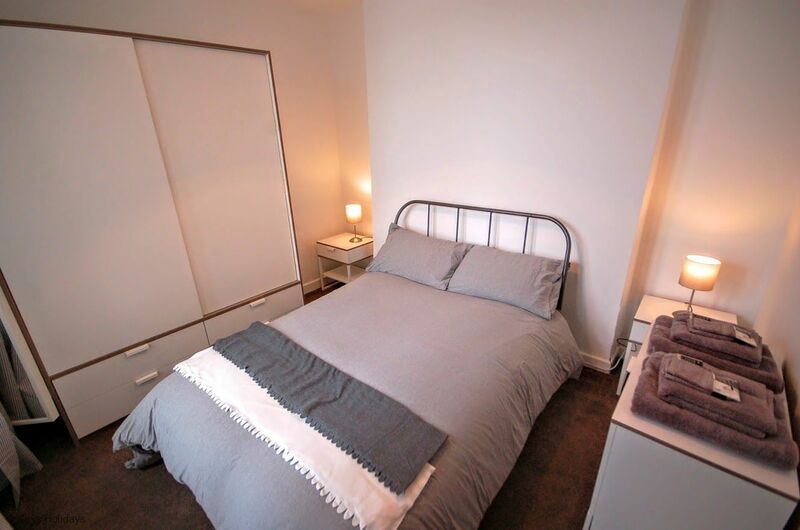 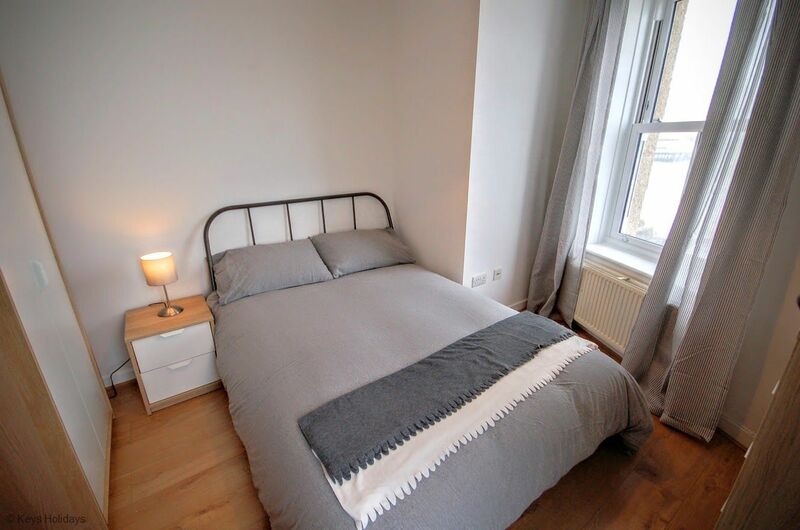 Amenities: Bed linen and towels provided. 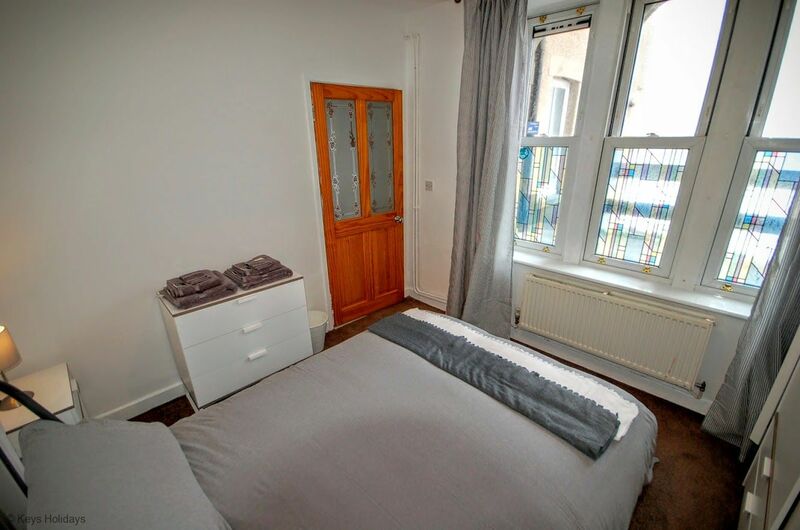 Please note this property has an arrival time of 4.00 pm. 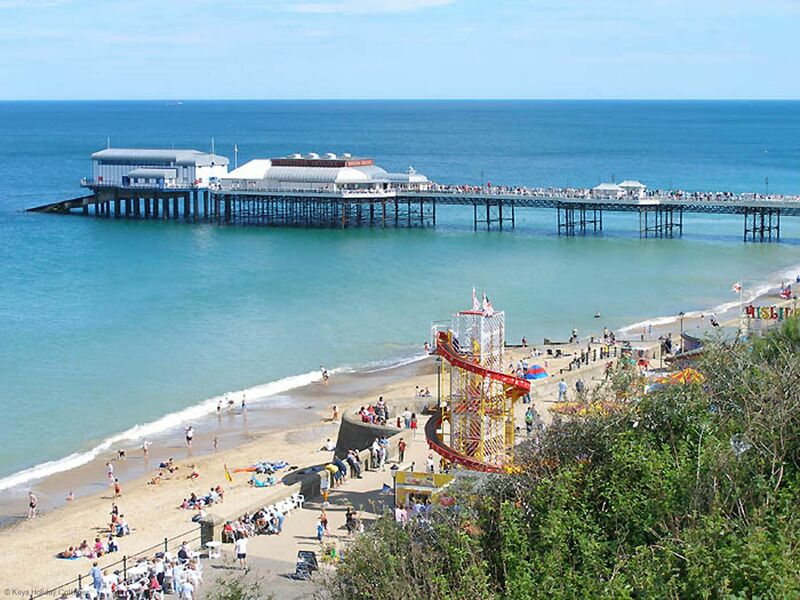 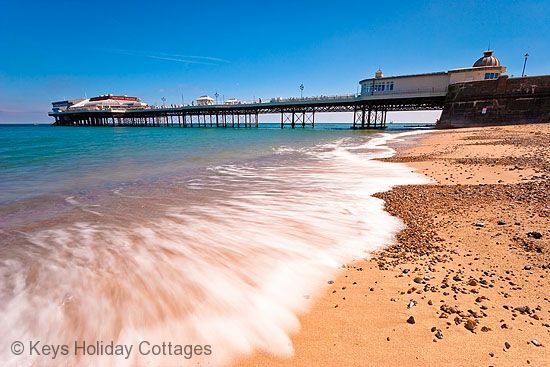 Location: beach 10 metres, pubs and shops in Cromer a 2-minute stroll. 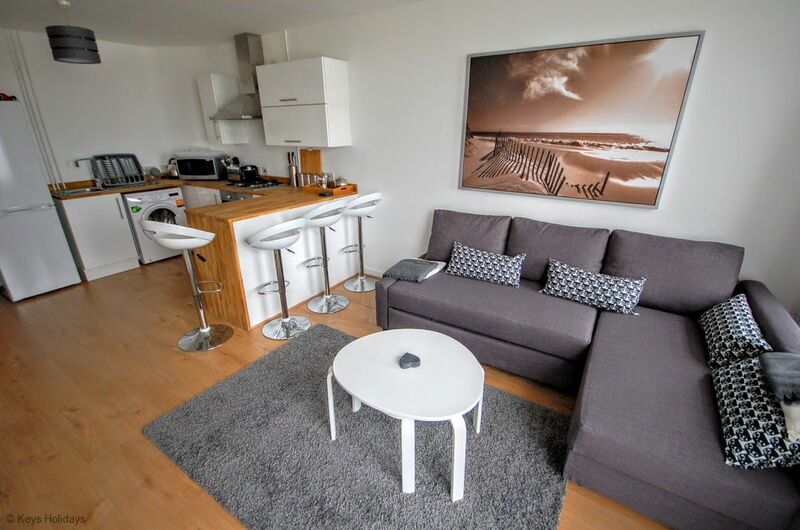 *Steep external steps to the apartment - not suitable for people with mobility problems.